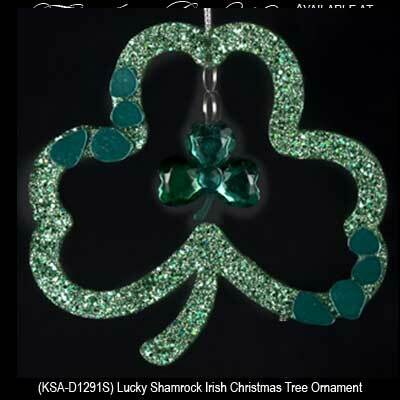 Lucky Shamrock Irish Christmas Tree Ornament with a Jeweled Shamrock. Made of Glitter Covered Wood with Green "Jewels", 4 1/4” Tall x 4 1/2" Wide. From Kurt S. Adler.